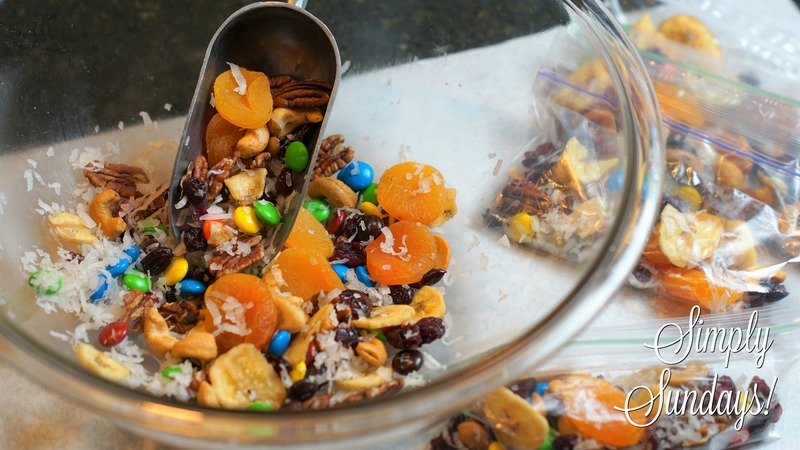 Homemade Trail Mix – Simply Sundays! I feel good about sending them to school with a baggie of flavorful Homemade Trail Mix and they love it! Scoop about 1/2 cup of the mixture into snack sized baggies and watch them disappear!